MONDAY, June 6, 2016 (HealthDay News) -- Babesiosis is a sometimes serious illness transmitted to humans by ticks. Now, researchers say a two-drug combo seems to have cured the illness in mice. Babesiosis -- transmitted by the same ticks that transmit the bacteria behind Lyme disease -- is caused by the B. microti parasite, which can develop resistance to current treatments. "This is the first radical cure against this parasite," said lead researcher Choukri Ben Mamoun. He's an associate professor of infectious diseases at Yale University, in New Haven, Conn.
People infected with the babesiosis parasite sometimes have no symptoms. However, in other cases they can develop symptoms that range from mild and flu-like, to severe and life-threatening. 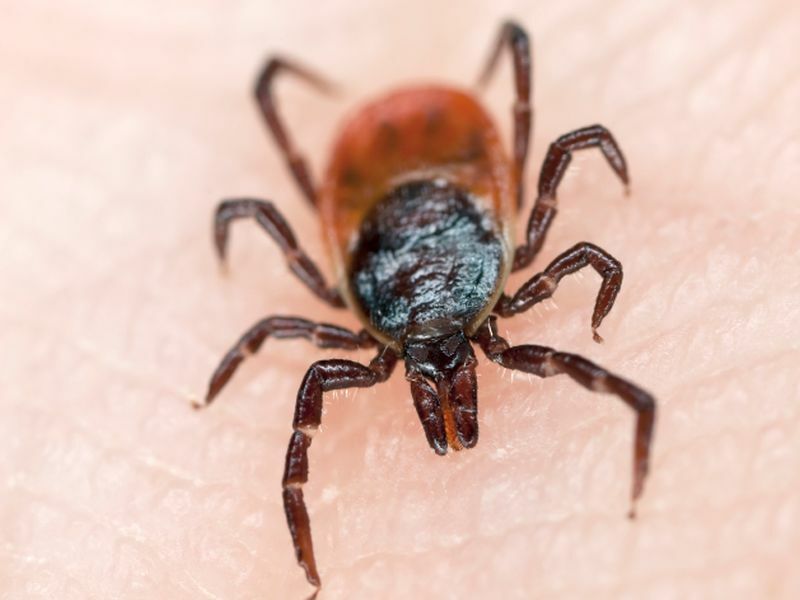 Babesiosis is becoming more common in the United States, the researchers noted, and is more widespread in the Northeast and northern Midwest. The Yale team said that up to 19 percent of ticks, and up to 42 percent of mice (and other rodents) that carry the Lyme bacterium also carry B. microti. The new treatment involved giving mice infected with babesiosis low doses of two drugs -- atovaquone and another drug known by the acronym ELQ-334. The researchers picked atovaquone because it targets a particular enzyme that, when mutated, gives the babesiosis parasite a chance to mutate and resist current drugs. ELQ-334 works similarly, but it targets a different enzyme, the research team explained. According to Ben Mamoun's team, the treatment not only cured mice of babesiosis, it also prevented the recurrence of the disease. The researchers noted that with current treatments, babesiosis can return to sicken the patient again. "The novelty of the study was identifying a combination therapy that will both kill the parasite and also paralyze the target enzyme, making it nearly impossible for the parasite to develop resistance," Ben Mamoun said in a Yale news release. However, research that works in mice and other animals often fails in a human trial. So, the researchers said the next step is to conduct clinical trials of this combination therapy in people. The researchers are currently refining one of the medicines, ELQ-334, to first assure that it will be safe for use in humans. The study was published online June 6 in The Journal of Experimental Medicine.